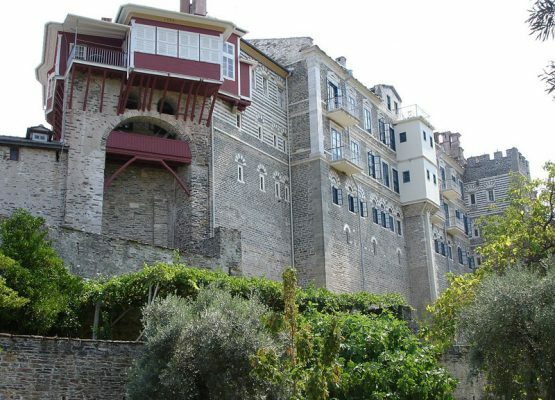 The Holy Mount Athos is an autonomous and self-governed territory of Greece. 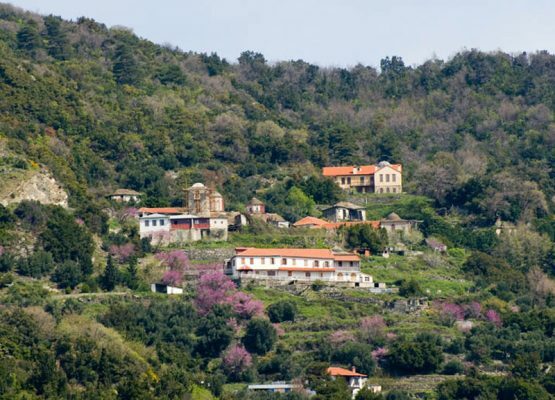 It occupies the whole of the third peninsula of Halkidiki Greece, about 50 km in length and having a breadth of 8-12 km covering an area of 330 square kilometers. 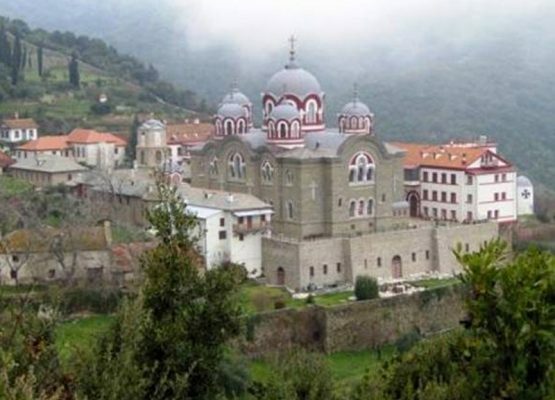 In the centre of the peninsula of Mount Athos rise a long range of hills and mountains, culminating in Mount Athos itself, 2,033m above sea level. 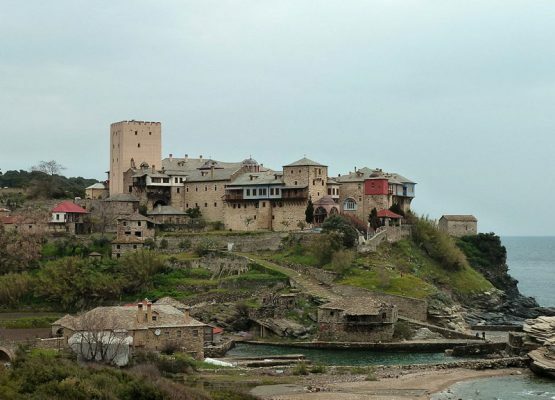 Until the 3rd Century BC, many small Greek towns existed on the peninsula of Athos, principally colonies originating from Chalkida and Eretria. The most important of which were Sani, Ouranoupolis, Thisson, Kleones, Dion, Akrathos and Olofixos. Later, these towns declined or were destroyed. 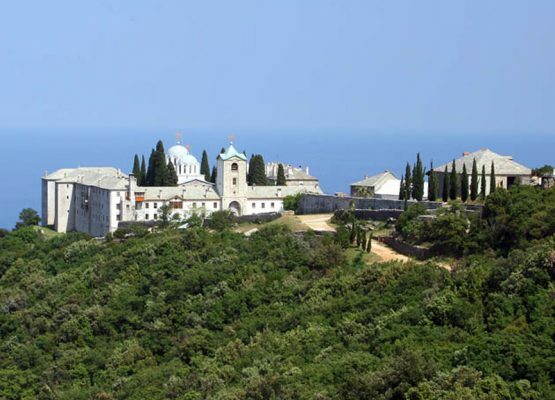 Five hours away from the monastery of Megisti Lavra y lies the skete of Agia Anna. 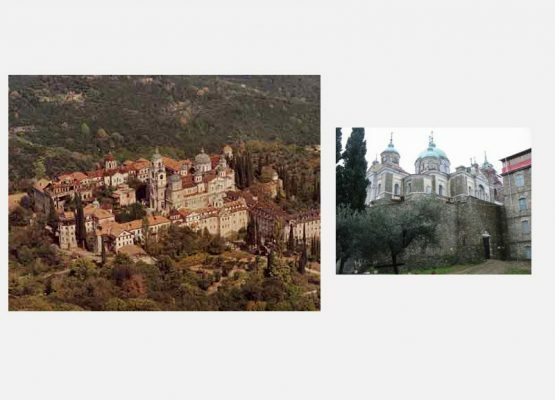 It was founded in 1760 and belongs to the monastery of St. Paul. 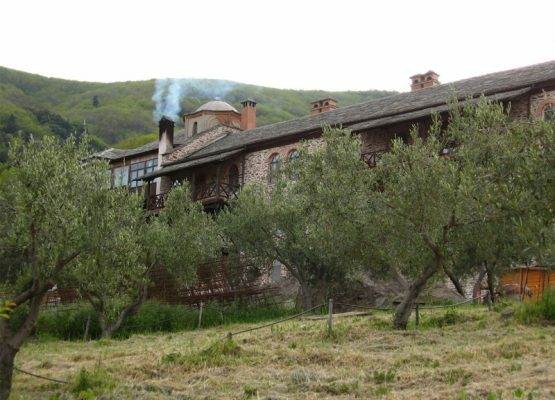 This Romanian cenobitic skete, until 1854, it was a Greek cell. 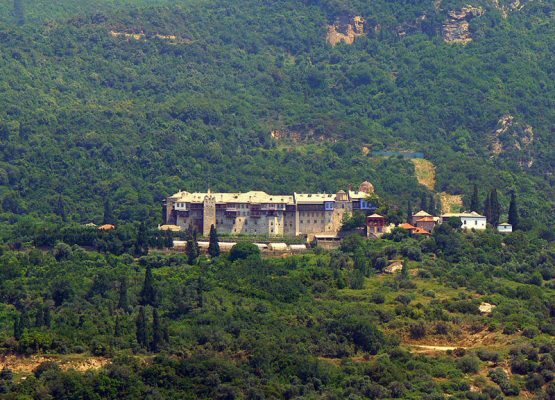 The Monasteries celebration according to the Julian calendar.